Recently, Business Insider had a chance to spend a week with a 2019 Honda Pilot AWD Elite. In the marketplace, the Pilot competes with SUVs such as the Toyota Highlander, Ford Explorer, Chevrolet Traverse, Subaru Ascent, Nissan Pathfinder, and Volkswagen Atlas. The base 2019 Honda Pilot LX with front-wheel drive starts at $31,450. Our top-of-the-line all-wheel-drive Elite trim test car starts at $48,020. A $995 destination and handling fee pushed the as-tested price to $49,015. The mid-size SUV segment is one of the most competitive in the US auto market. The Honda Pilot has long been one of the most popular offerings in the segment. However, it has lagged in sales behind the Toyota Highlander and the Ford Explorer. The current third-generation Pilot has been around since 2016. However, Honda decided to give the Lincoln, Alabama-built family hauler a mid-life refresh for the 2019 model year. Read more: I flew on Honda's new $5.25 million private jet to see if it's faster, quieter, and more luxurious than before. Here's the verdict. 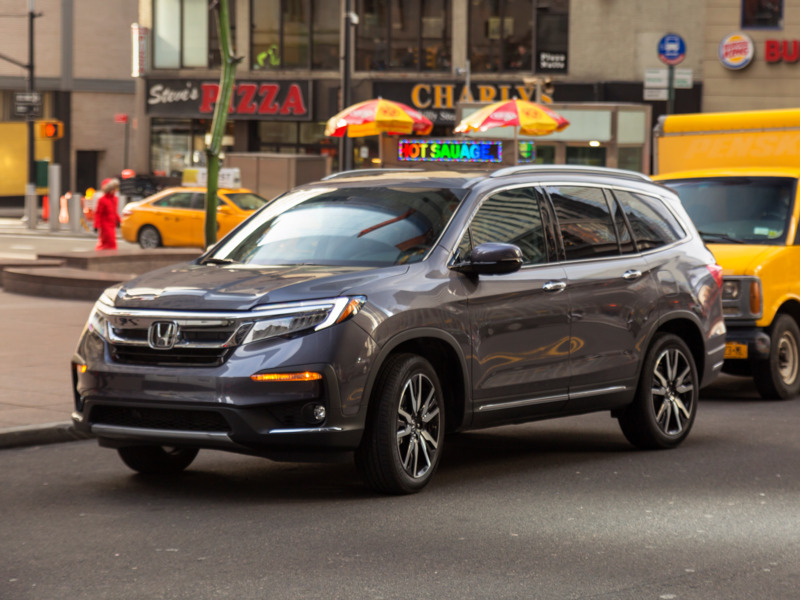 Recently, Business Insider had the chance to spend a week with a 2019 Honda Pilot AWD Elite to see how the updated crossover stacks up to the competition. In our review, we praised the Pilot for its more refined powertrain, updated infotainment system, comfortable ride, and standard suite of safety tech. Read more: We drove a $49,000 Honda Pilot to see if the new 2019 model is ready to take on Toyota and Ford. Here's the verdict. "The Honda Pilot is the epitome of excellence in this genre of automobile," we said in our review. "The third generation Pilot was always a strong competitor in the segment. But the updates made for the 2019 model year has corrected some of most glaring faults and bolstered its position as one of the finest family SUVs money can buy."